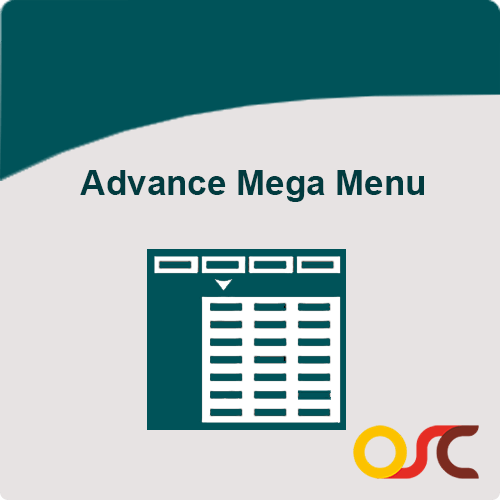 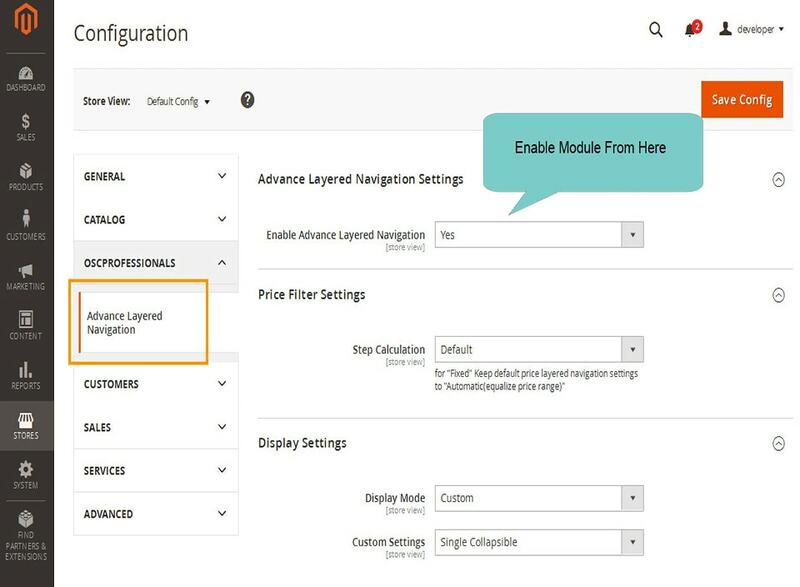 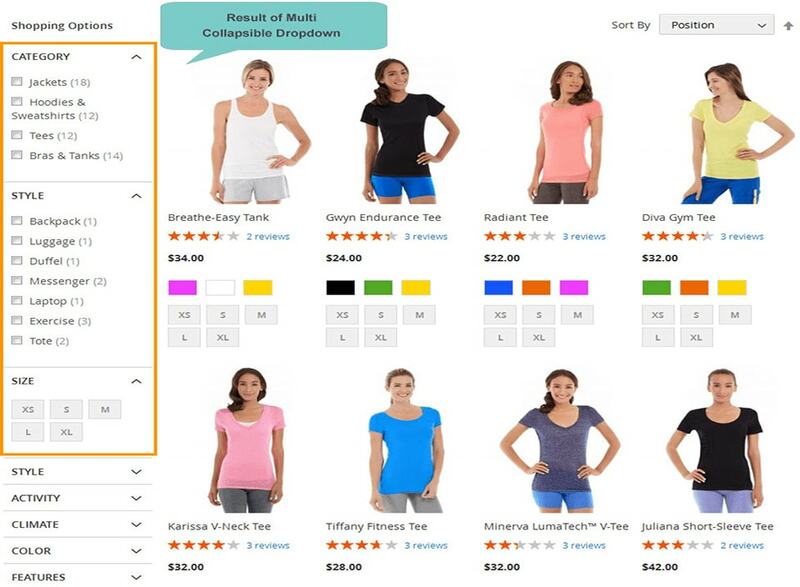 ADVANCE LAYERED NAVIGATION FOR MAGENTO® 2 Advance Layered Navigation extension is an improvement over Magento's layered navigation which enhances navigation experience of a customer. 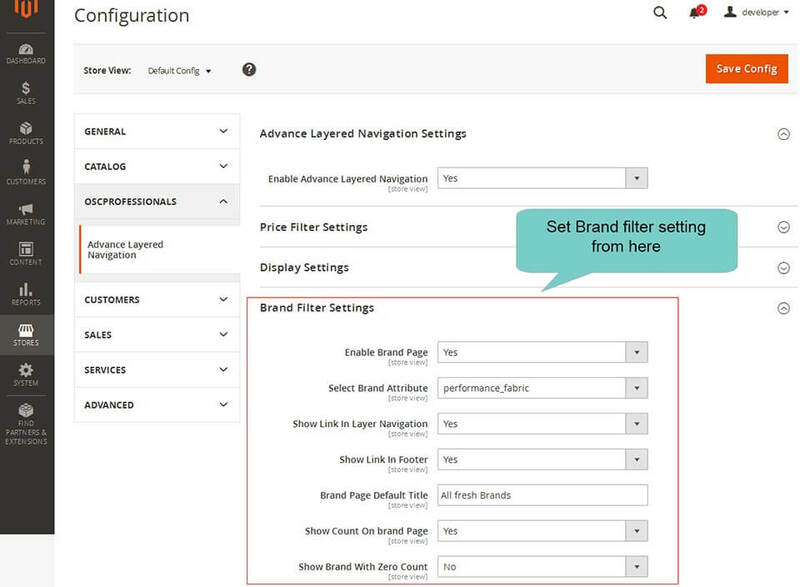 This extension helps to apply more than one filter from the same attribute or from different attributes. 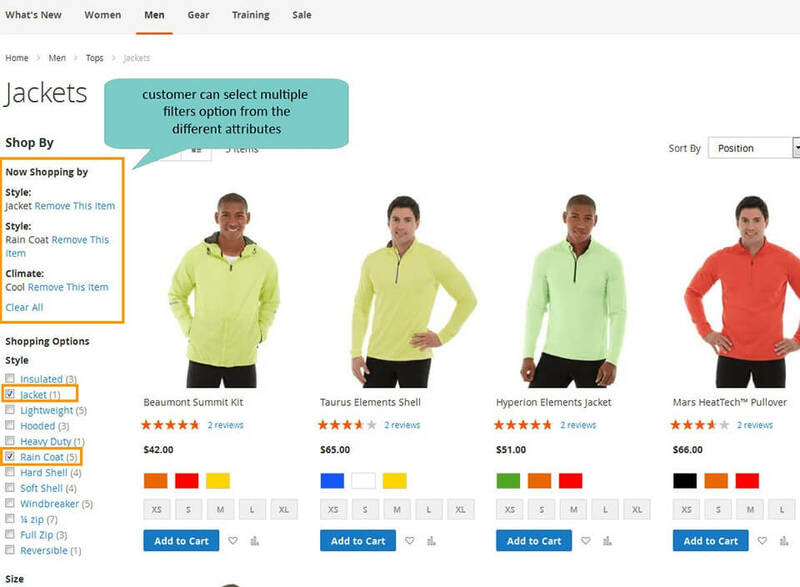 For example, customer can select two options from STYLE attribute (Jacket & Rain Coat)or more different options from other attribute like from Size, Material etc. 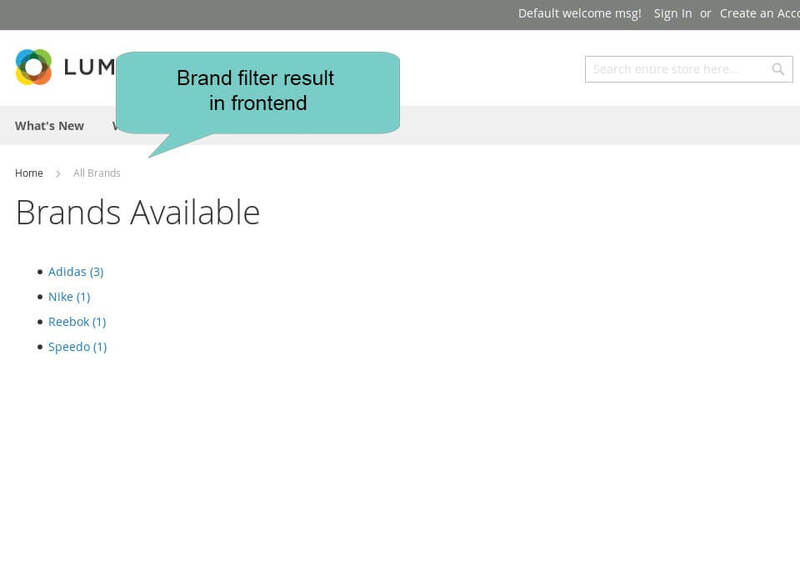 This will helps to filter the result as per multiple selection made by customer. 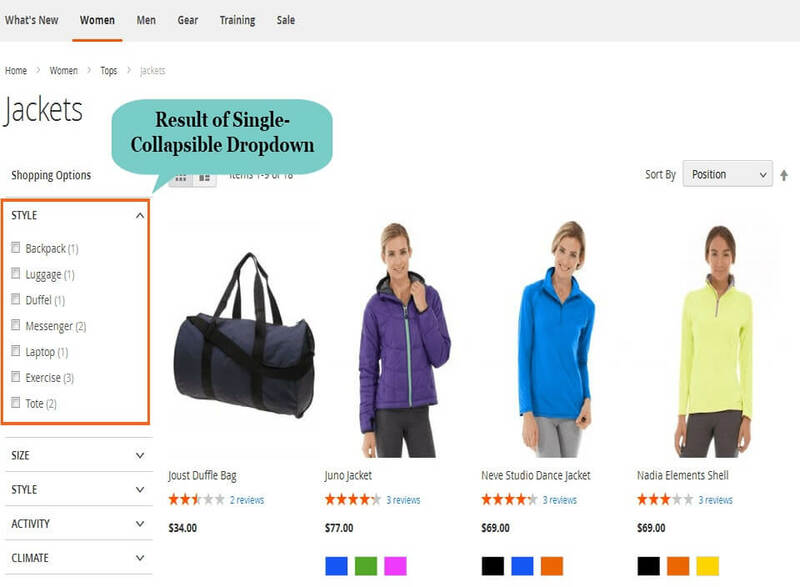 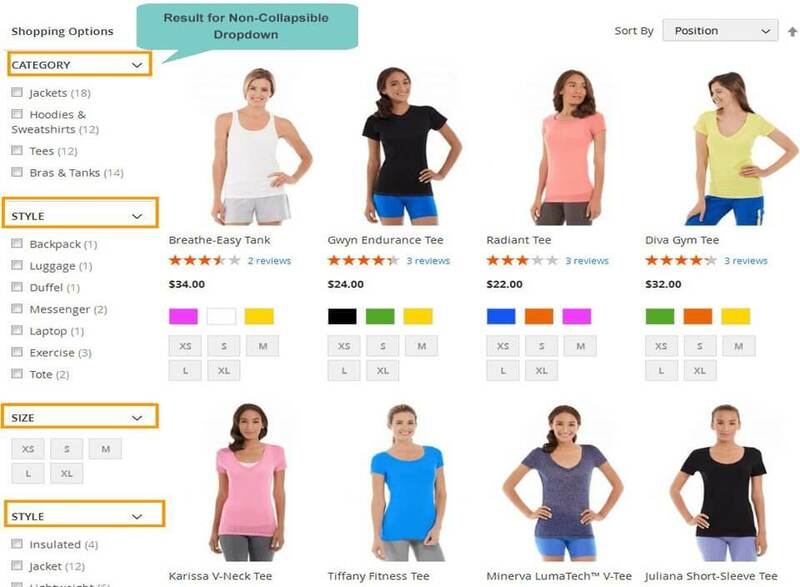 Advance Layered Navigation Magento 2 extension supports the multi-store feature. 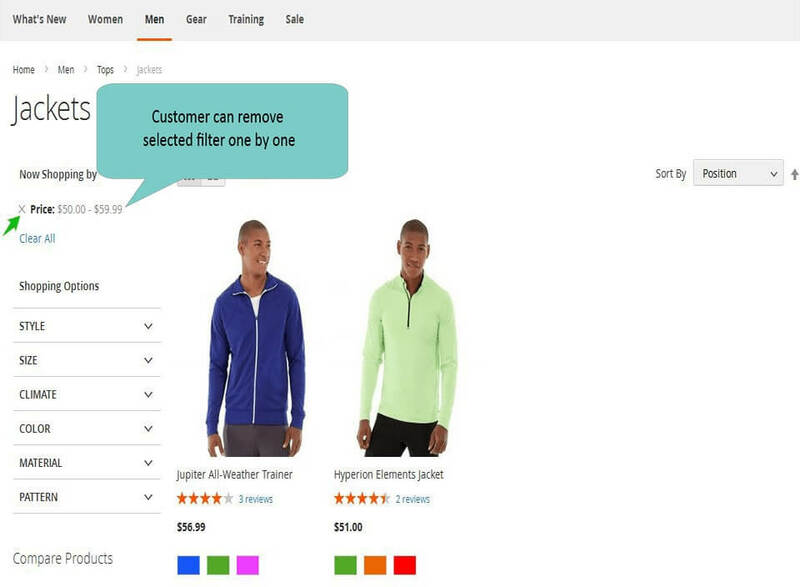 Store owner(s) can on/off extension store wise. 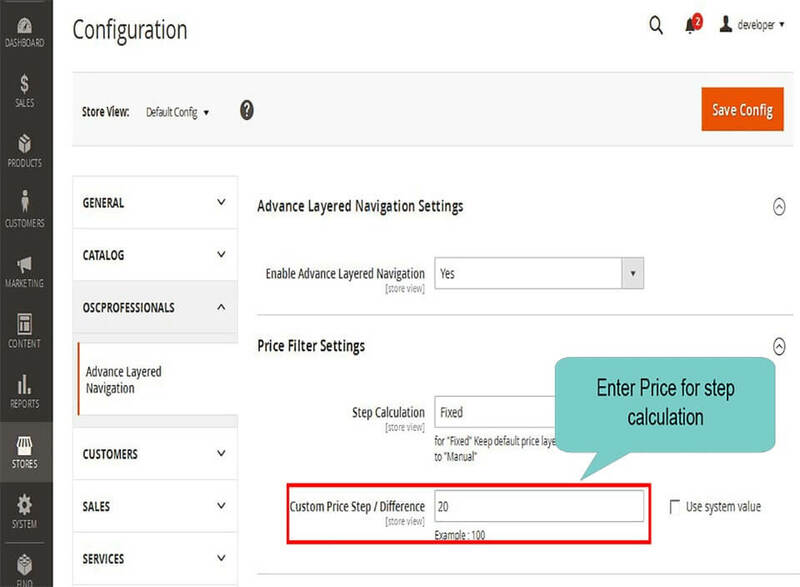 Allows customers to enter price range as per their needs and based on the range products result get narrowed. 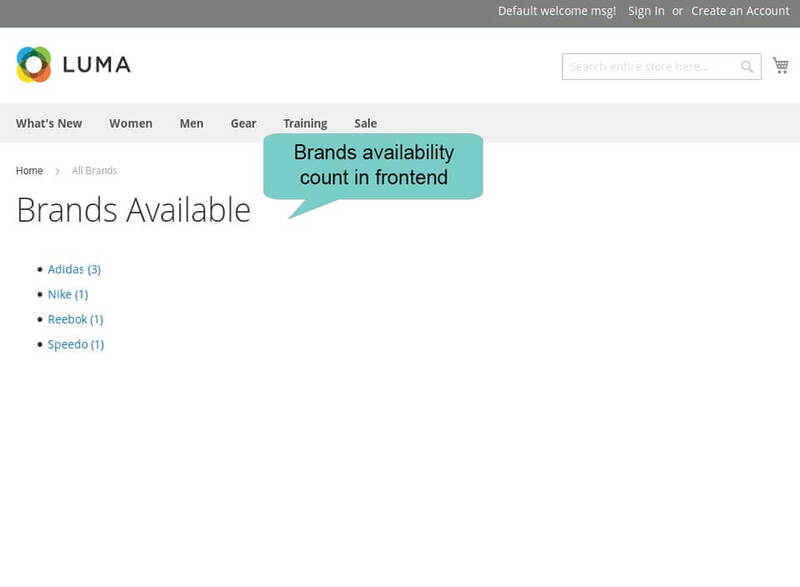 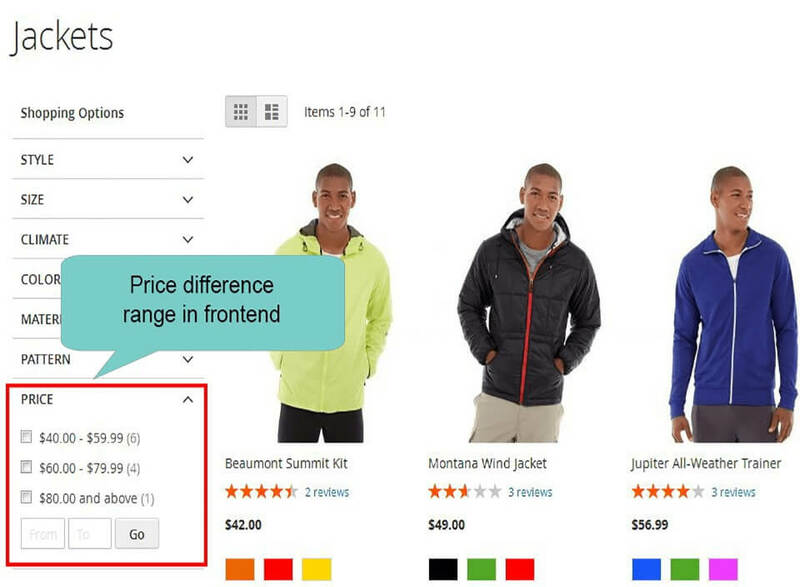 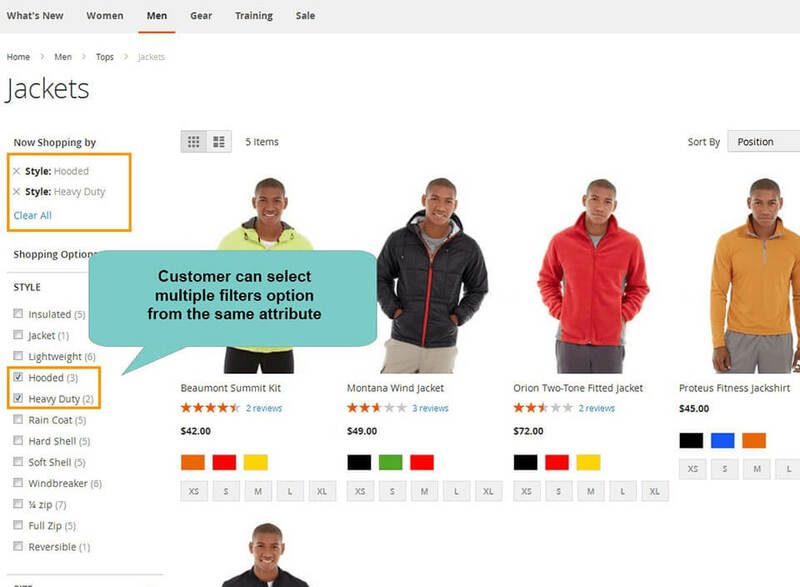 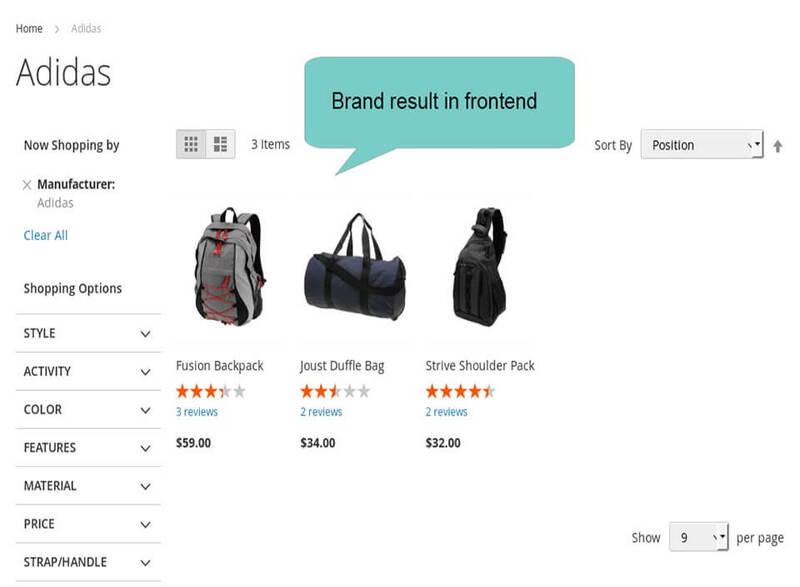 Allows store owner to take a decision on how to display attributes on Frontend. 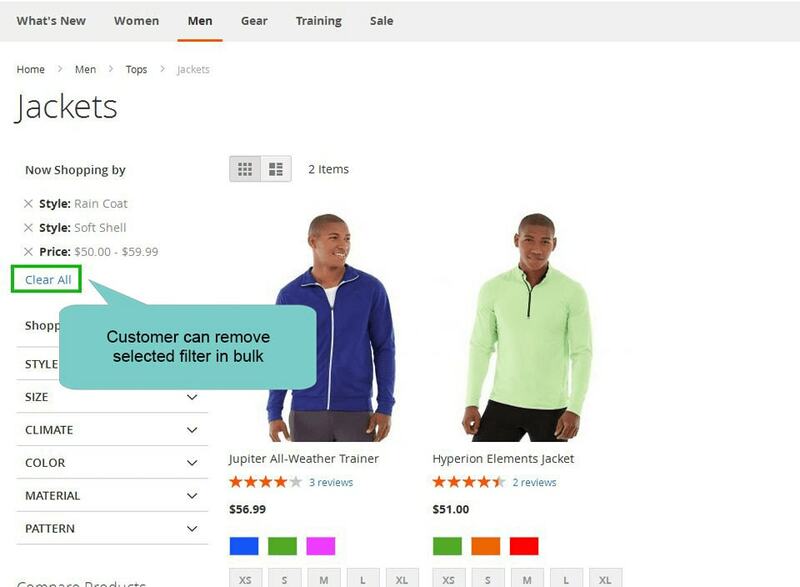 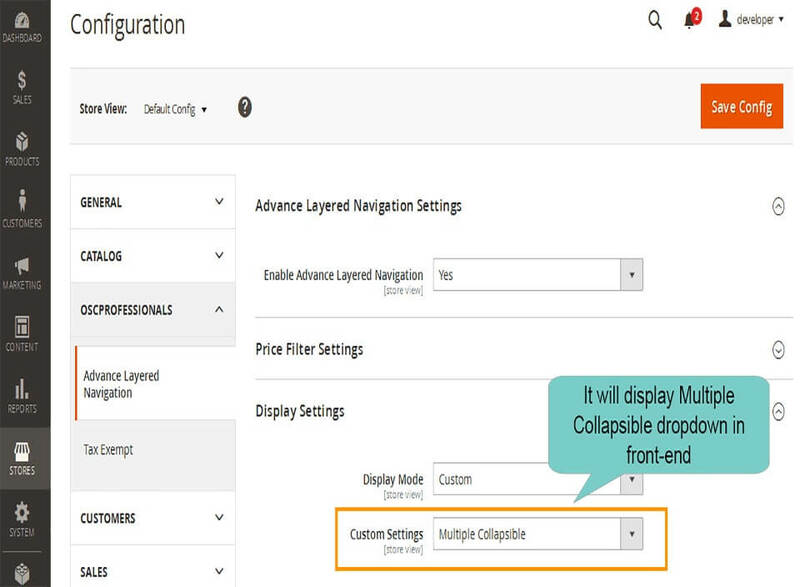 Store owners can selected to show attributes Collapsible, Non-collapsible, Single-collapsible or Multi-collapsible view. 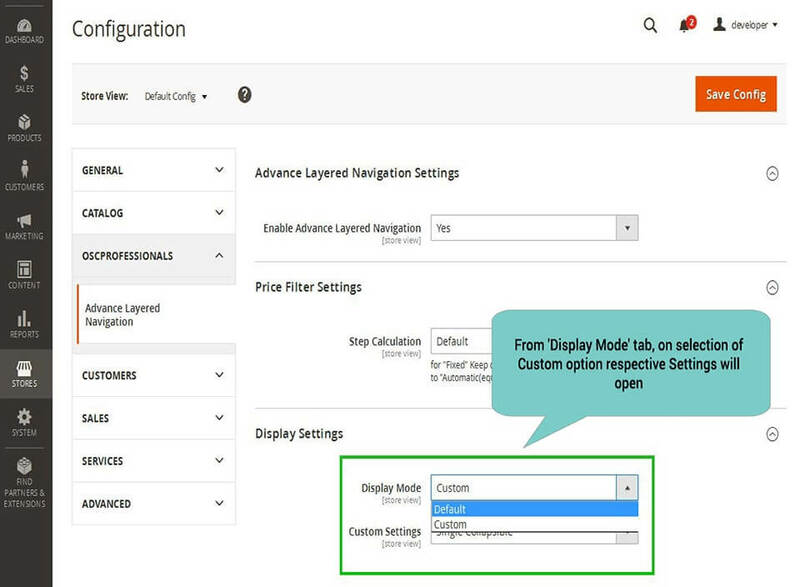 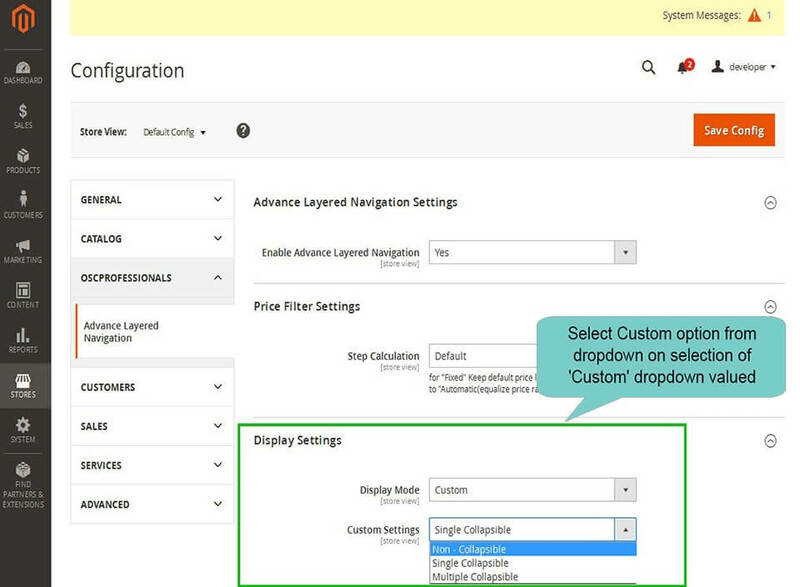 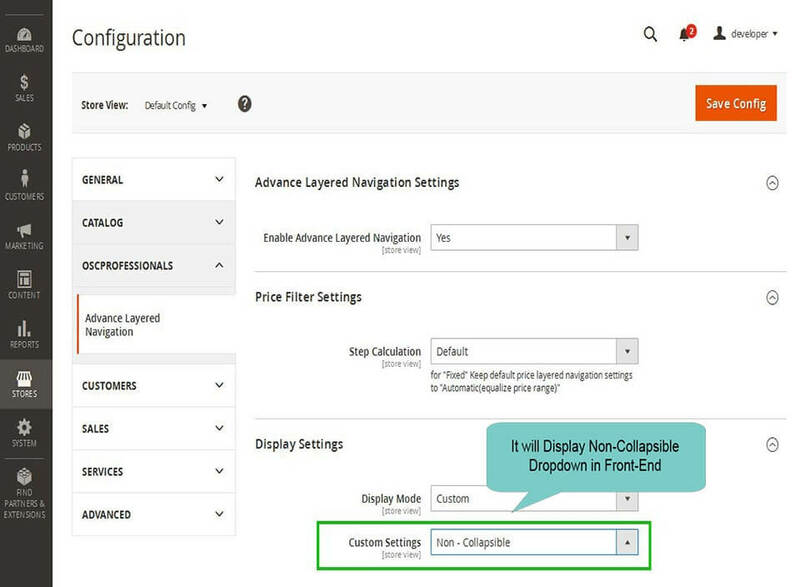 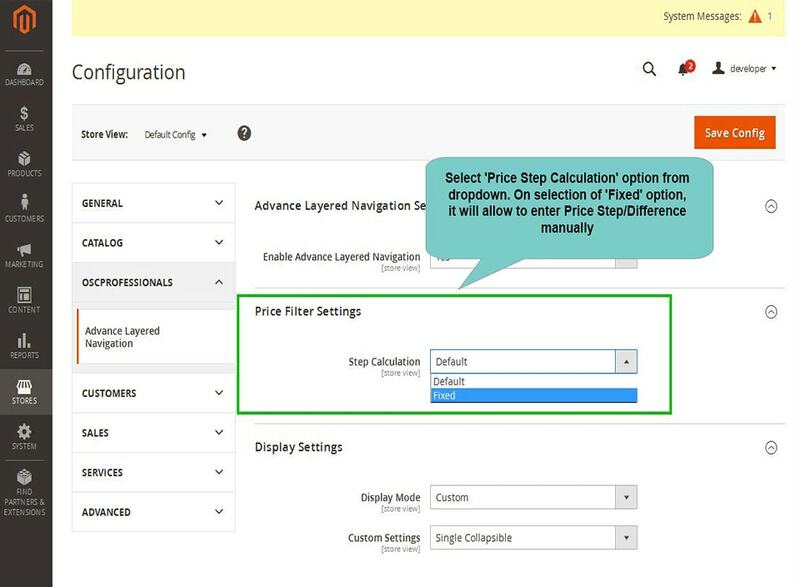 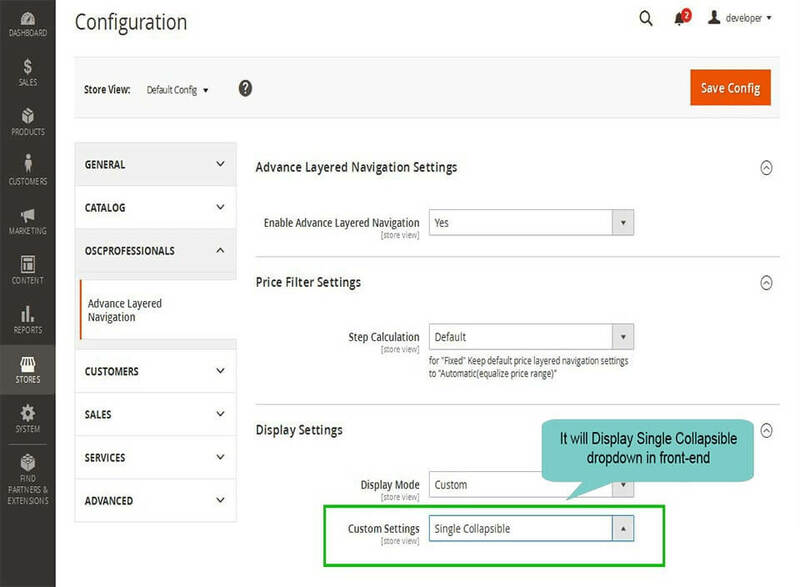 Using this extension products load fast each time customers selects the filter option(s).